You...Have A Suit? . 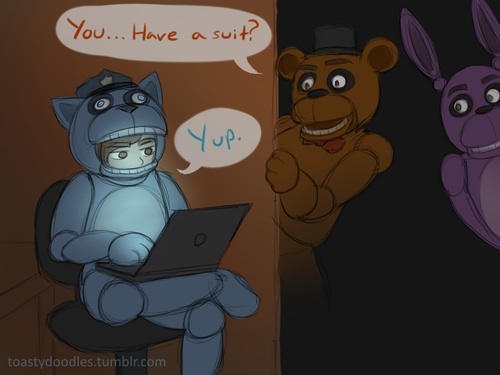 FNAF fans should do this in the game xD. Wallpaper and background images in the Five Nights at Freddy's club tagged: photo five nights at freddy's is absolutely fricken awesome. This Five Nights at Freddy's photo contains anime, comic book, manga, and cartoon.